We're excited to introduce you to Arnie, this super cuddly, majorly adorable Lil' Huggy plush armadillo. 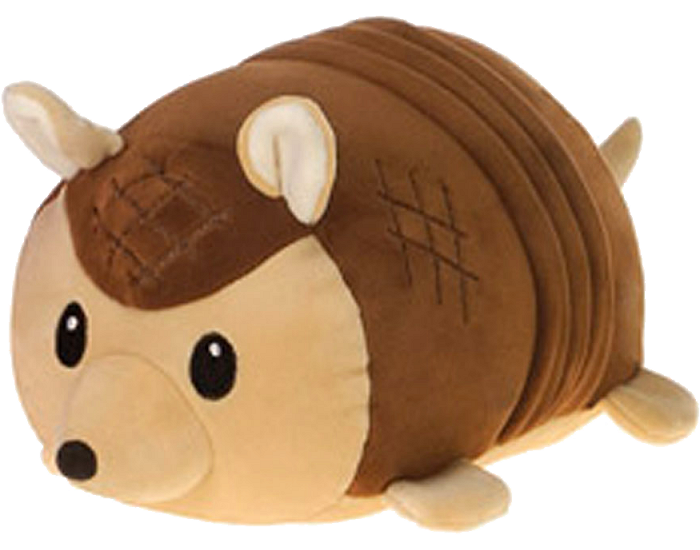 With a squishy body that begs to be hugged, this armadillo stuffed animal will be an instant best friend. With incredibly soft brown fur, tan ears, face, feet, and tummy, black nose, and cream inner ears, this loveable plush armadillo has a sweet face with embroidered black eyes and is ready for hours of imaginative adventure. 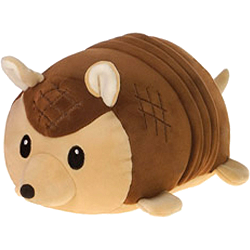 With a cuddly little body of soft tan fur and stripedy "armour," you are just going to love this Handfuls plush armadillo. Plush longhorn Buck has incredibly soft tan fur and a super squishy body that begs to be hugged. This cuddly plush pig backpack clip has soft light pink fur, hot pink accents, and sweet face.